If you aren’t familiar with the band, twenty one pilots’ music is filled with catchy electropop, but the sound hides something deeper: lyrics that resonate with people going through pain on a daily basis. The band released “Car Radio” in the summer of 2011. The first time I heard it, I cried. I struggled with depression earlier in life, and I relied on distraction rather than dealing with it. As you might guess, that didn’t work. It wasn’t until I truly dealt with my emotions that healing began to take place. 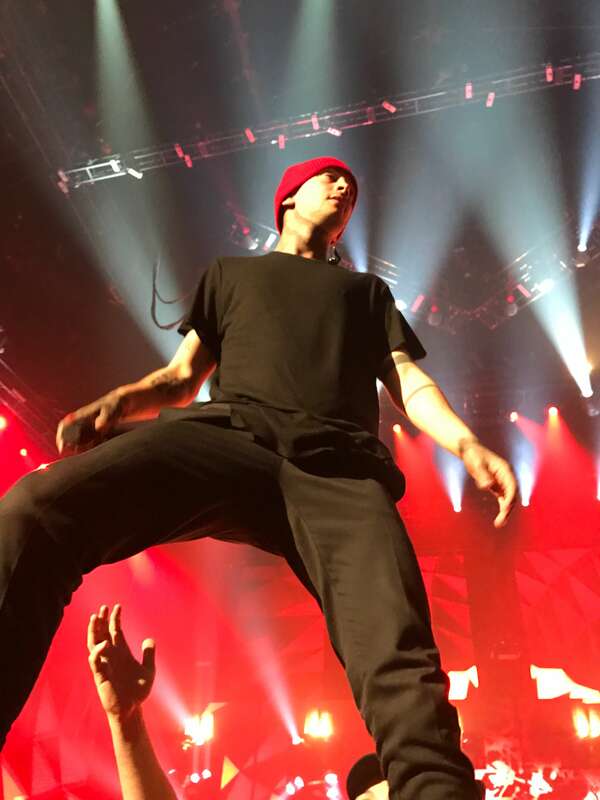 The band’s frontman, Tyler Joseph, knows this pain as well. “Car Radio” is all about the difficulty of sitting in silence and consequently having to battle unwelcomed thoughts and emotions. Upon listening, you might find what I did: It’s a dark song, but it’s a hopeful one as well. Lesson 1: Dealing with demons and emotions is hard. In this verse, Tyler acknowledges that the silence forces him to deal with his feelings. He can’t get away from it. The pain is overwhelming, and he considers what might happen if he pulled the steering wheel. One of the things I love most about the song is how real it is. Make no mistake: Confronting what you’re feeling and dealing with emotions in a healthy way is supremely difficult. One of the most difficult things you can do, in fact. Lesson 2: Dealing with demons and emotions is worth it. There’s faith and there’s sleep, and we all need to pick one. In this verse, the audience is directly addressed and urged to fight and to stay alive. “Car Radio” is a plea for people to remember to have faith, to be awake and to think. The song is beautifully validating. People often feel alone in their depression, but as Joseph says, they’re not alone. It’s possible to survive and to heal. Facing and dealing with your emotions is what brings long term healing. Repressing or running from your emotions can lead to depression, anxiety, addiction, or worse. Lesson 3: You can’t heal alone. If you’re struggling with depression or suicidal thoughts, the best thing you can do is ask for help. Dealing with emotion and confronting it head-on is difficult. You might want to quit, and you might feel worse before you feel better. But addressing it remains the best way to come through whole on the other side. If you suffer from depression and need someone to talk to, always remember: we have a dedicated staff of clinical professionals who can walk with you. Have faith that there’s hope.